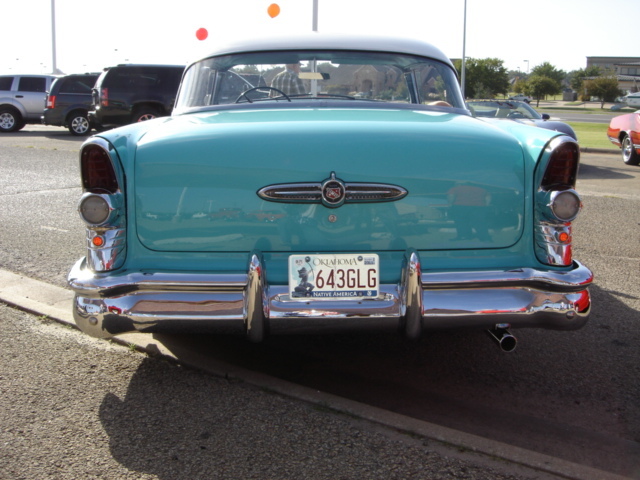 The Cimarron Starlite Cruisers' Car Club proudly feature, great classic vehicles, which belong to the good folks of Oklahoma. 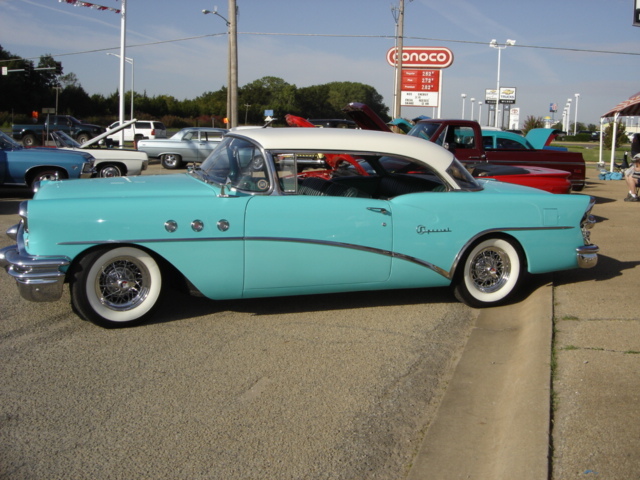 This outstanding 1955 Buick Special Riviera belongs to Stean Steanson of Stillwater Oklahoma. Stean recently came across this classic General Motors car in Minneapolis and brought it back to Oklahoma for its new home. General Motors produced Models within the Buick line with the designation of "Riviera" from 1949 through 1962. 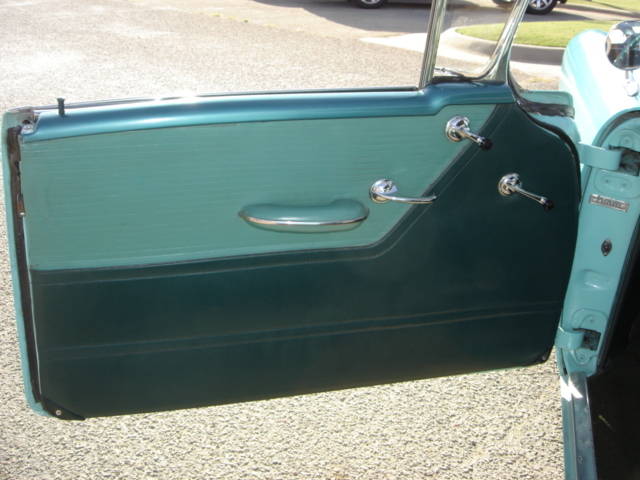 In 1964 a stand alone model Riviera was introduced. 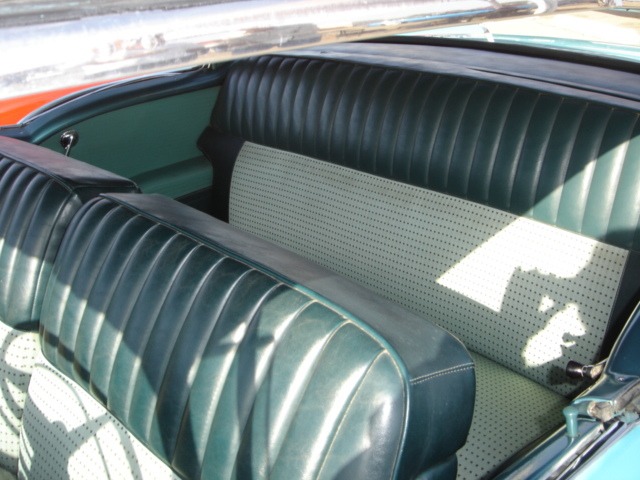 As you can see this Riviera has the classic interior with chrome and two tone colors that American cars of the 50's were noted for. 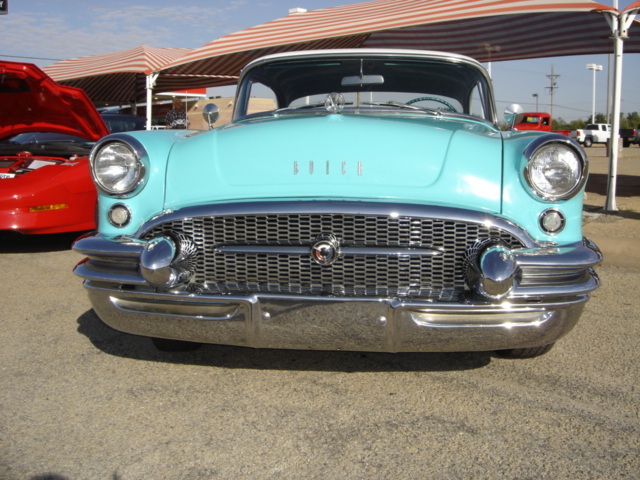 We first came across this great 50's Buick at the Perkins Car Show in September and when we saw it again at the Ron Shirley Car Show in Ocotber we asked Stean if we could feature the car for our readers to enjoy. 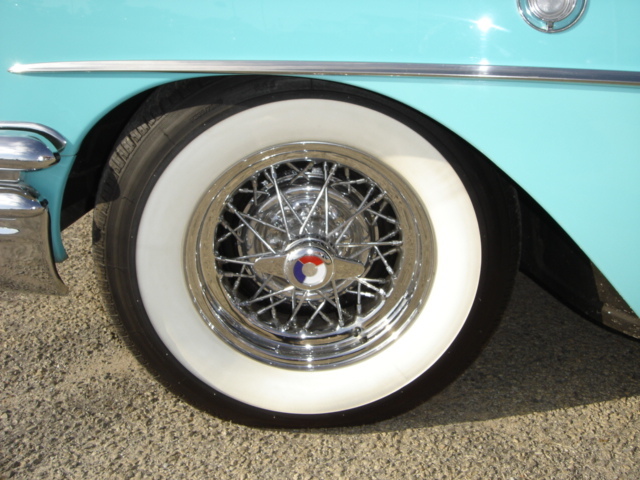 The Riviera has a set of eye catching Kelsey Hayes wire wheels along with Coker Wide White Walls tires that produce that classic look. 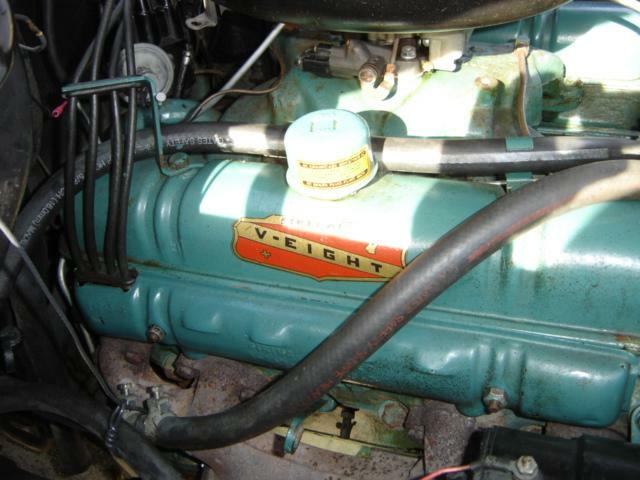 The Riviera has a single exhaust, but for additional dollars you could order duals for the V8 in 1955. 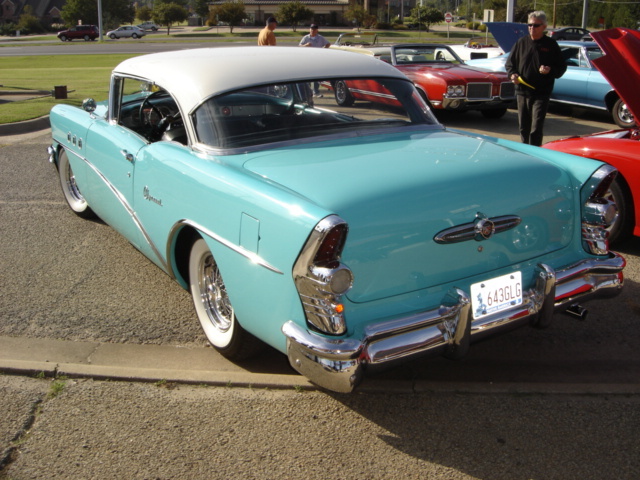 The Buick is equiped with a 264 cubic inch Nailhead V8 which produces 188 horsepower and a Dynaflow transmission. 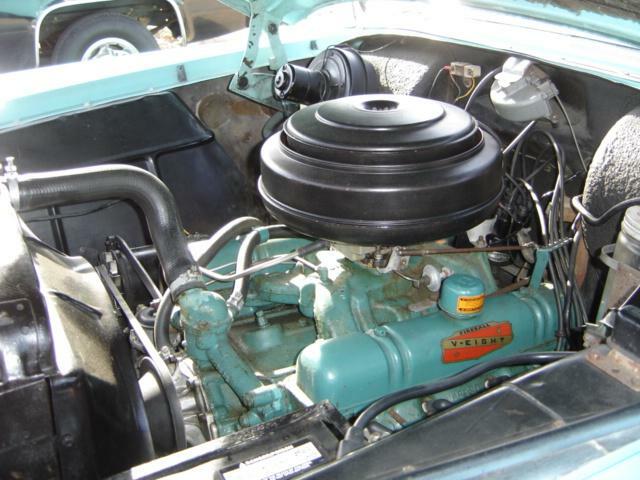 The 4.3L engine replaced the older 263 cubic inch straight 8. This engine became known as the "Nailhead" for the unusual vertical position of its small-sized valves—which looked like nails. 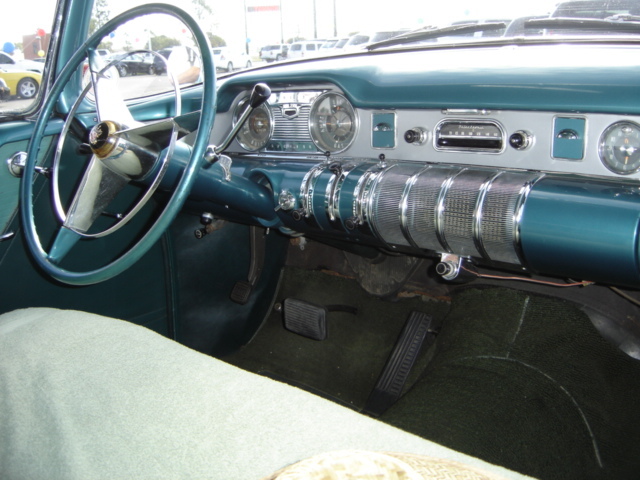 The Nailhead-V8 family employed a camshaft with higher lift and longer duration to offset the smaller-sized valves and arguably restrictive intake- and exhaust-port areas. The small-size valves and intake runners made for engines with a lot of torque, with many exceeding one foot-pound per cubic inch, which was exceptional for the day. 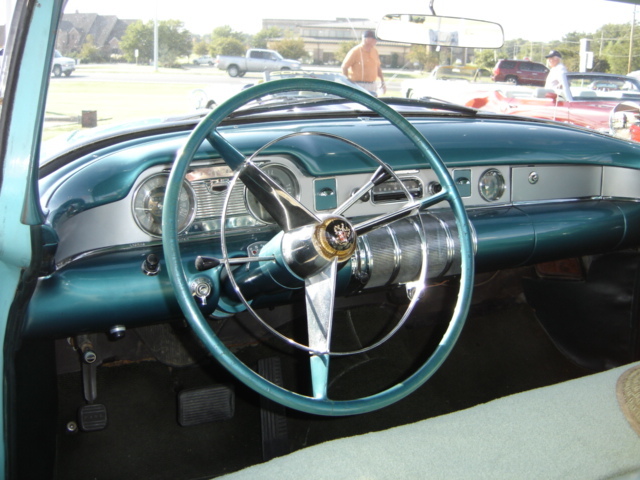 The Riviera was listed by Buick as a six passenger car with a 122 inch wheel base that was noted for a very smooth ride and great driving experience. 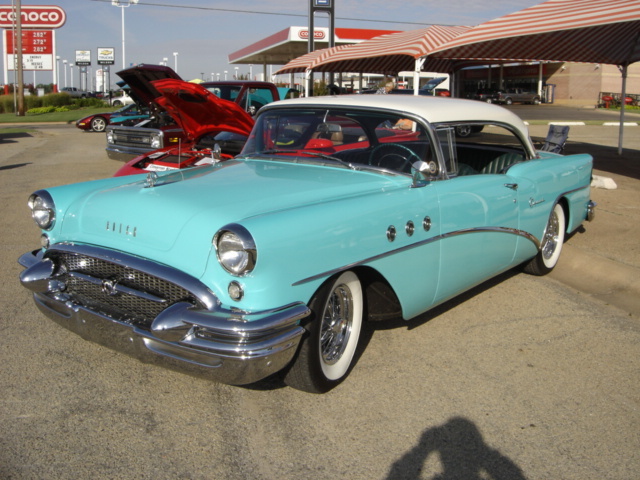 In 1955 Buick added a four door Special Riviera Model 43 producing 66,409 of these cars as well as the popular two door Model 46R producing 155,818 of the two door cars which is shown here. The history and information of this outstanding Buick is provided courtesy of "The Buick: A Complete History" by Dunham and Gustin. The Cimarron Starlite Cruisers sincerely appreciate Stean Steanson of Stillwater OK USA for sharing his outstanding 1955 Buick Special Riviera to be featured as the Great Oklahoma Classic for October 2010.